On 10 July 2012 there was lively debate on the Legal Affairs Committee of the European Parliament over the suggestion made by the Council on 29 June that articles 6 to 8 of the “Proposal for a Regulation of the European Parliament and of the Council implementing enhanced cooperation in the area of the creation of unitary patent protection” be deleted. The implementation of that suggestion would entail denying the European Court of Justice the capacity to interpret uniformly the core of patent law, specifically, the right to prevent the direct or indirect use of the invention and the limits of patent protection. 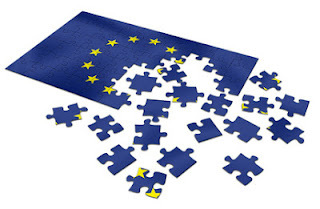 The majority of the MEPs came out strongly against the deletion, maintaining that it would constitute a breach of ordinary legislative procedure, and it was thus decided that the matter should be referred back to the Commission and the Legal Service of the Parliament. More news is expected in September. Following the mess resulting from Opinion 1/09 of the Court of Justice in March 2011, on 26 May 2011 the Commission proposed that the work be restructured in the form of three legal instruments within a single package to be adopted by the 25 Member States participating in the enhanced cooperation procedure, Spain and Italy having opted out, those instruments being a regulation on the creation of unitary patent protection, another regulation confined to translation requirements, and an international agreement for the creation of a unified litigation system with a unified patent court. On 5 December 2011 the European Parliament and the Council struck a political deal which left just one question in the air, namely, that of where the new court should be located. As the Council had announced that a solution could be forthcoming towards the end of June 2012, Parliament decided to wait and to put the political deal to the vote at first reading in the plenary session to be held on 4 July. On 29 June the Council announced that a “Belgian style” agreement had indeed been reached and that the seat of the court would thus be in Paris while there would be specialized chambers in London and Munich, but that this would entail the deletion of articles 6 to 8 of the basic Regulation. British, German and French professionals had long been calling for the removal of those provisions, on the ground that the Court of Justice is not a specialized body and that its intervention will only give rise to greater cost and delay in the handling of infringement and nullity actions, and their views were echoed in a report by the UK Parliament published on 3 May 2012. On 2 July the European Parliament decided not to put the package to the vote on 4 July and instead to convene the Legal Affairs Committee for 10 July. We now know the outcome of the meeting of that committee, although we cannot yet gauge its implications. To liken the situation to that of players in the time-honoured board game known as the Game of the Goose, we might have stumbled into the maze on square 42 and therefore have to go back to square 30 or, worse still, have fallen into the well on square 31. In the first scenario months will have been lost; in the second we may have to wait another three years for someone to come along and rescue the project. It is, at all events, every day more evident that, after forty years of negotiations, on this front we are witnessing a watering down of the European construction process and a waning of the belief that industrial property is one of the key elements for the consolidation of the internal market.